So that didn’t last long. 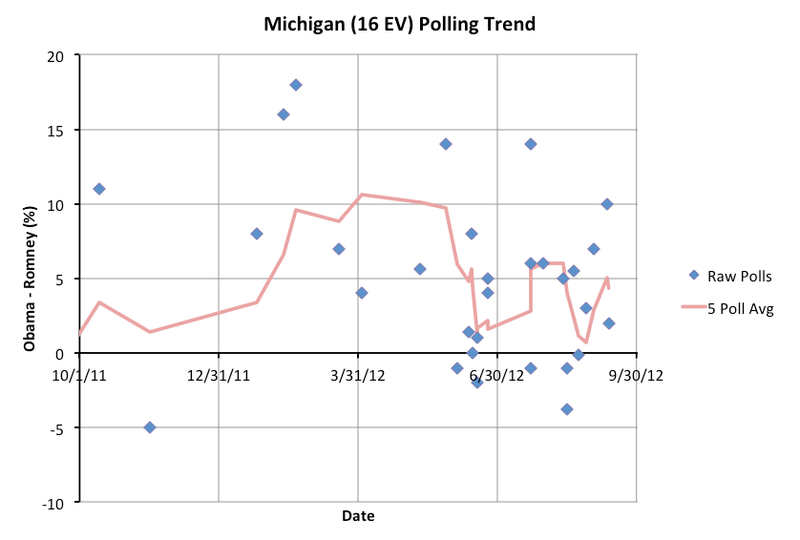 Three days ago Michigan topped a 5% Obama lead in my five poll average… just barely, at 5.1%. Now with a new poll, that drops back down to 4.4%. So, once again, I consider Michigan in the “could go either way” category. 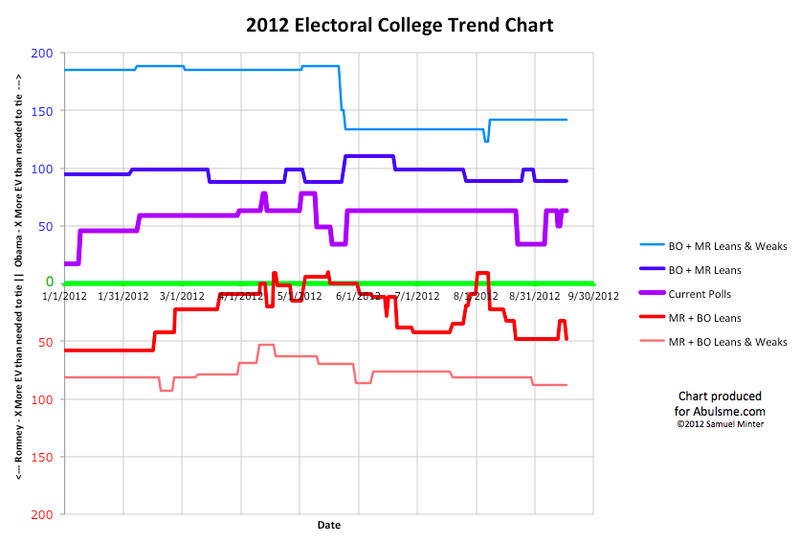 We’re still right around my arbitrary 5% line, so the next poll could easily move this back above 5%. Or of course it could move things further in Romney’s direction. For the moment though, back to being close enough that we consider it within the realm of possibility that Romney takes the state in November. Having said that, although a few individual polls have shown Romney ahead, at no time in the last year has Romney been ahead in Michigan in the five poll average. This is not one of the “closest of the close” states where the lead has gone back and forth all year. This is a state that is relatively close, but Obama has been ahead all along. So pretty much where we’ve been for awhile: Obama with a substantial lead. 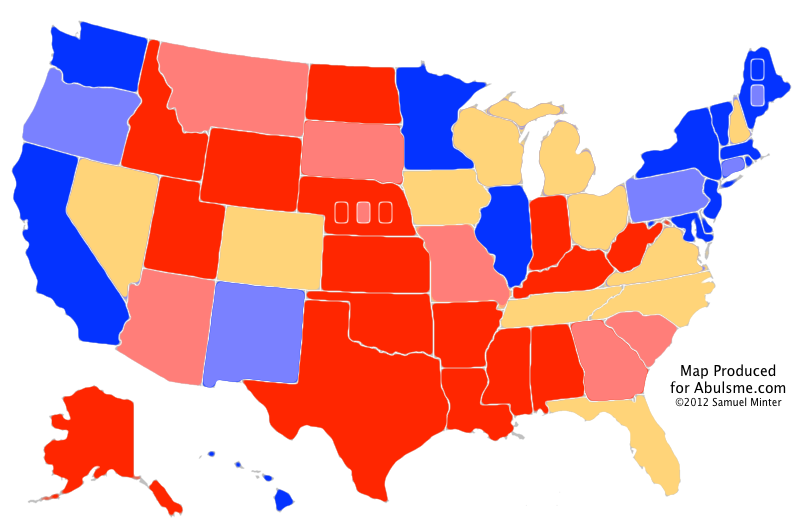 Romney still able to win if he sweeps almost all of the close states, most of which he is currently behind in. 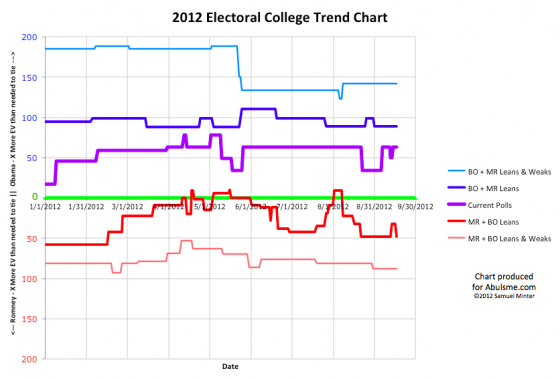 To win Romney needs something big that changes the dynamics of the race. More of the same from both sides just ends up with a fairly comfortable Obama win.